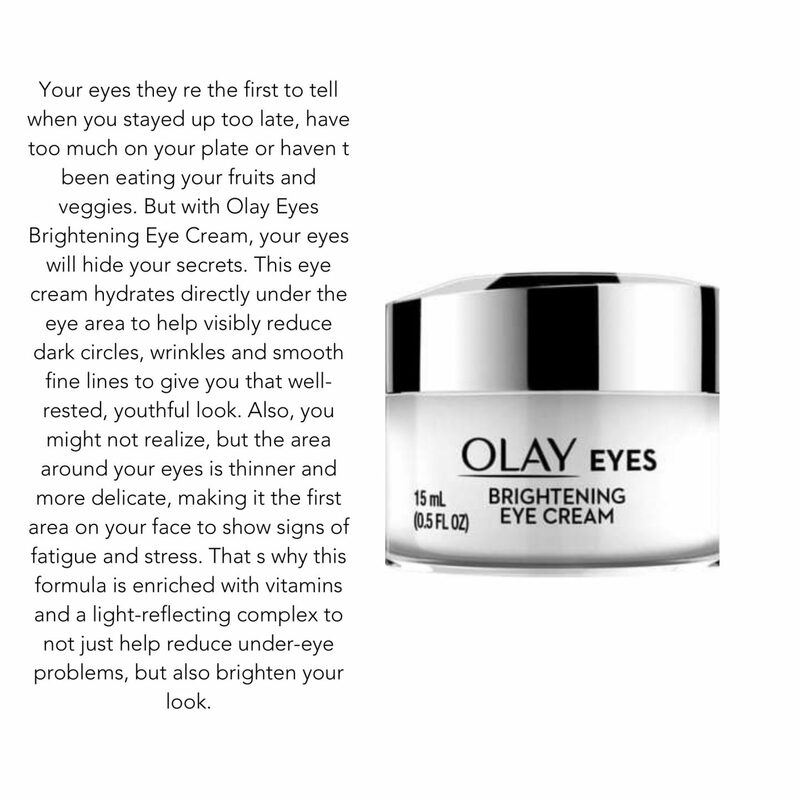 HEY BRIGHT EYES - How I achieved brighter eyes with Olay eye cream. I have grown to manage my hectic lifestyle like a true boss. 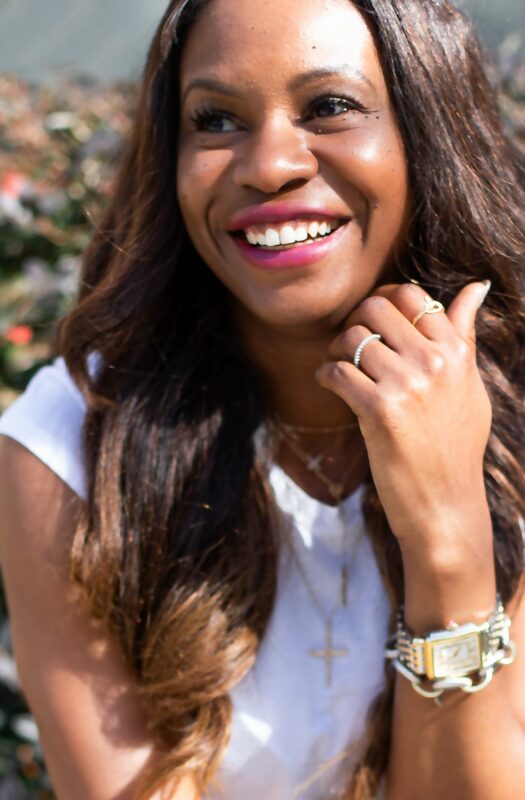 I weave in and out of my roles as blogger, mom, and wife, wearing multiple hats and keeping up with multiple schedules… but it comes with a cost. I don’t get 8 hours of sleep, I often work 7 days a week, and since I am the boss, all the responsibility of running my business falls solely on me. Although it doesn’t sound as glamorous as all the photos you see look, I truly love what I do. It’s a ton of work that doesn’t actually feel like work. Photo shoots, travel, networking, content creation… who has time to sleep?! As you can imagine, not getting enough sleep can show up in the form of dark circles under the eye. Dark circles don’t run in my family but staring at computer and not getting proper rest created a problem I never thought I’d have. 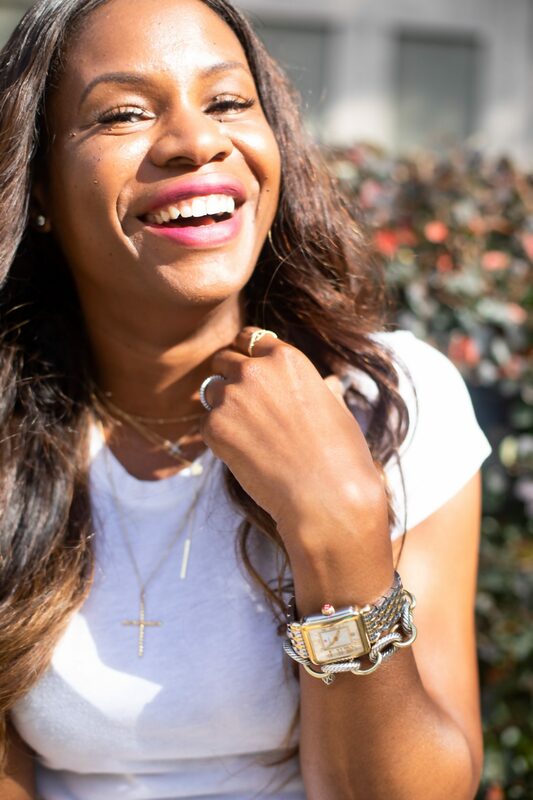 On those days when my crazy schedule and work habits are catching up with me, I pull out my best self-care practices and get myself all the way together. 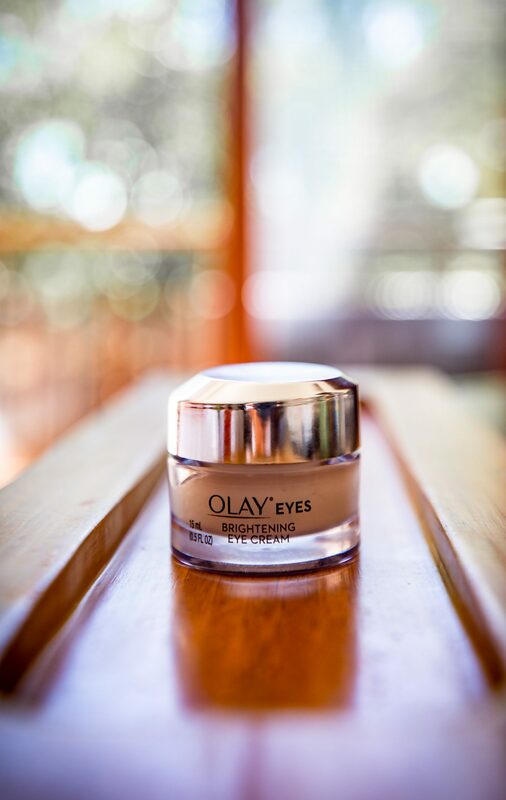 I started using the new Olay Eyes Brightening Eye Cream a few weeks ago. I felt it best to be proactive because brighter eyes mean a brighter looking face. Although I’ve been working hard, I don’t necessarily want to look like it. And, on those days I’m not shooting, I don’t always want a full face of makeup. 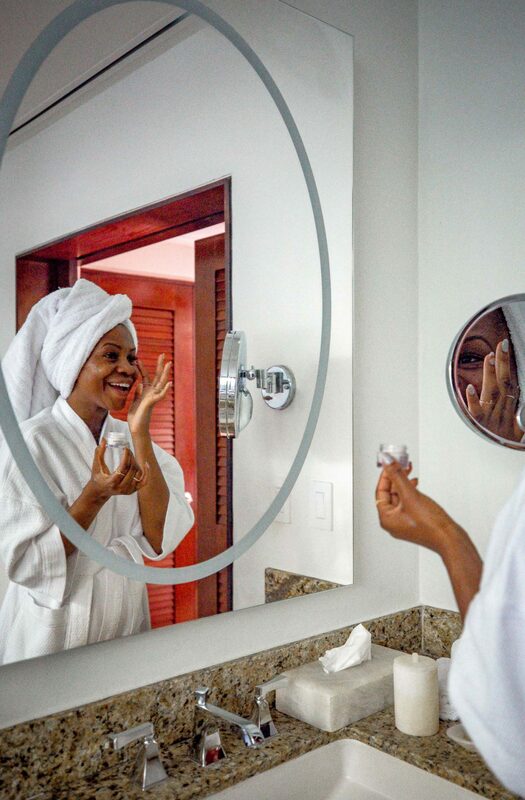 Olay is a brand I’ve known about for years, and something I can easily find at my local CVS. I just apply the Brightening Eye Cream after washing my face at night and allow it to do its thing while I sleep. The results were amazing! 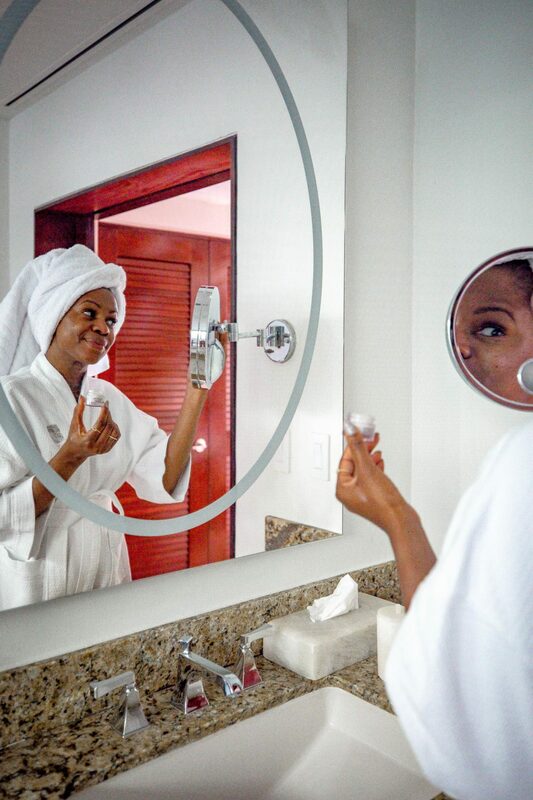 I didn’t notice it right away, but there I was on a recent work/play trip to Mexico, ditching my makeup because there was nothing for me to cover up. My skin looks amazing right now. And although I don’t see myself slowing down any time soon, I don’t have to worry about those dark circles anymore.